You know things are getting sticky at a company when it’s felt necessary to have a wholesale clearout of executives. That’s the radical action that LG is taking, in response to a series of poor sales figures for its mobile division. In some ways, LG is an interesting company. 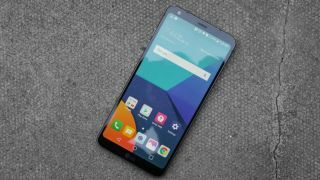 Often, poor results are predicated on a range of poor products but, in this case, LG has garnered a set of more than respectable reviews. This summer’s launch, the G6 was singled out for its stylish design, while the LVG 30 gathered plenty of plaudits too - so it’s not the technology that’s proving to be flawed. But the figures don’t lie. The Mobile Communications company recorded an operating loss of 2.81 trillion won (£1.83 billion) in the last quarter, an improvement of 13% on the third quarter last year, but a loss all the same. In the past two years, the only quarter that mobile phones have shown a profit was the first quarter of this year. If it’s not the products, the only answer is that must be people, starting from top. That means that the president, Juno Cho, has been moved into a new role in the LG parent company. The new president and CEO, Hwang Jeong-hwan, has had a long career in R&D, and was part of the team that developed one of LG’s first smartphones. The new CTO is Dr Park Il-pyung, formerly head of the company’s software center, while the current CTO, Dr Skott Ahn also being moved to a more corporate role. Perhaps more interestingly, given that the company is not failing on its products, there’s a new head of worldwide marketing, Han Chang-hee, who has come from the appliance side of the business – while the mobile division has been struggling, it’s the appliance revenues that are keeping the company healthy. The company is also looking to explore new markets, with the news that it’s setting up a new B2B division. There’s certainly a need to do something to maintain a foothold in such a competitive market.